March is American Red Cross Month. As a family caregiver this is the ideal time for you to take advantage of the wide range of information offered by this volunteer organization to help you give your parent the care that they need to live the highest quality of life possible as they age in place. One way that you can achieve this is by handling environmental issues and emergencies in the way that is right for them and the situation at hand. Conserving water is something that is extremely important during times of drought, but that is also valuable for everyday life to help the environment and save on resources. There are many things that you can do inside your parent’s home to help them reduce their water consumption, but you should not forget the steps that they can take outside of their home as well. 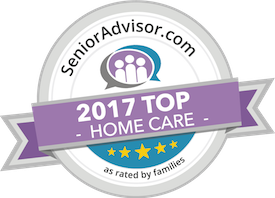 If you are concerned about your elderly loved one’s ability to handle emergency situations, or have been looking for ways to improve their quality of life and diversity of care, now may be the ideal time for you to consider starting home care for them. An in-home care provider can be a valuable source of support to ensure that your aging loved one gets the care, assistance, and encouragement that they need to handle their individual challenges, limitations, and needs, and to help them through emergency situations that may occur as they age in place. When it comes to important lifestyle choices such as conserving water during time of drought or in an effort to be more environmentally friendly, this care provider can help your parent research ways that they can make a difference, implement these into their care, and support them in making the decisions that are right for them while also achieving the results that they intend. This is not only beneficial to the environment and their well-being, but can stimulate their mind for improved mental, emotional, and cognitive health and function. Have questions about caregiver services in Waikiki, HI? Contact the caring staff at All Care Hawaii today. Call Oahu (808) 206-8409 or Maui (808) 664-3853. Call us 24 hours a day, 7 days a week!